You can hire us on an ad hoc, project interim or retained basis. We can work as an integrated part of your team or provide a reliable source of regular expertise from our Stockport office as and when required. We always work to the highest standards and bring a high level of experience and professionalism in the work we do. We don’t just have professional certificates on our walls, but practical understanding and commercial acumen. All the team have held positions at senior management level, and have firsthand experience and advise in many of the situations you are facing. We focus on giving each of our customers the service they need to help them manage their accounts and employees. We understand that each organisation is different, with their business requirements and culture and our aim is to tailor our service and approach to deliver bespoke solutions. We provide professional, experienced and qualified staff in each service area who are assigned to each client to ensure they get to know you and your organisation and are best placed to give the right support or solution. By outsourcing these services it helps you reduce the costs of employing personnel and gives you improved availability and consistency of resource. 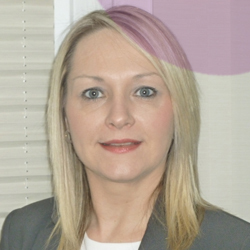 As well as having a vast amount of bookkeeping and accounts experience – supporting Sean on a regular basis – Diane gained an extensive amount of HR experience whilst working with SME companies within the mental health, residential care and fostering sectors as well as with marketing and PR agencies. She offers expert professional advice and guidance on complex employment issues in accordance with current legislation. This covers terms and conditions of employment, best practice, performance management and is experienced in investigating disciplinary and grievance matters, working closely with legal advisors in cases that move to a tribunal or professional body hearings. Diane has a pragmatic and common sense approach to HR issues. The glowing testimonials she receives confirm that she is considered an essential part of her Client’s teams, offering advice to all levels of management from board directors to senior managers, enabling effective implementation of all elements of HR strategy and effective management of change. Diane is a mum, enjoys cycling, running and swimming … when she’s not too busy working! Sean’s professional background spans over 30 years in a range of industries such as print media, advertising agencies and one of the UK’s leading photographic agencies. Sean’s wealth of experience in SME and Limited companies means he has a full understanding of a company’s financial requirements, management accounts and the importance of getting results! 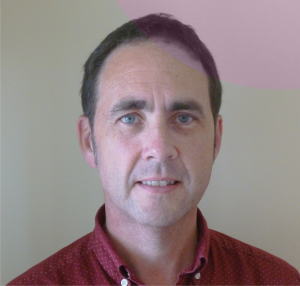 Sean has broad and invaluable experience, enabling him to advise clients on systems and processes, as well as undertaking all aspects of the clients’ accounts from basic book-keeping through to management accounts. He is often referred to by clients as ‘the accounts wizard’ and advises them on all financial matters. Sean is a dad, a season ticket holder at Manchester City, enjoys running, reading and dotes on his little boy and little girl.